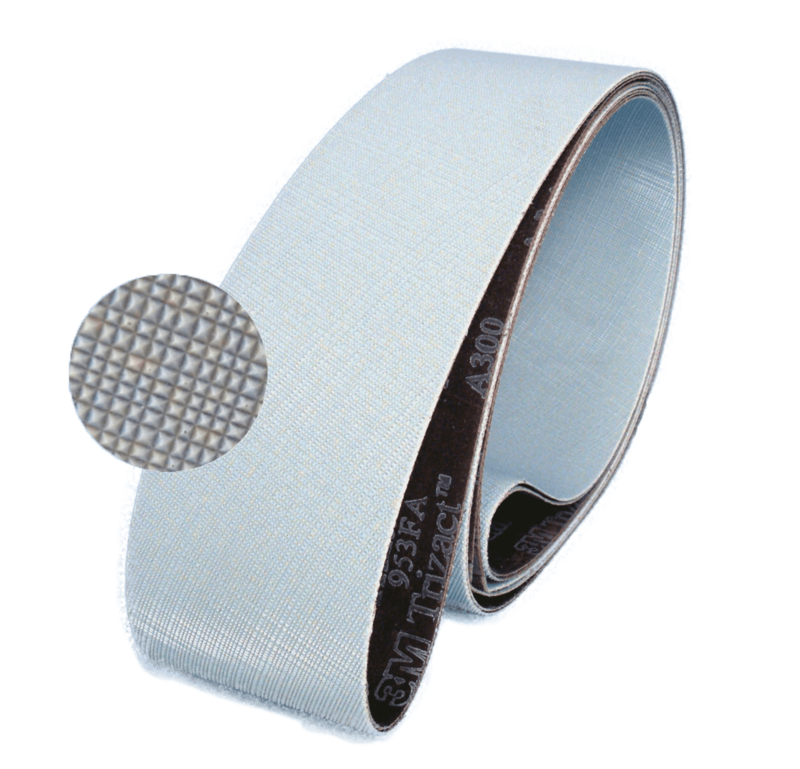 Abrasive belts Trizact™ have been tried and tested abrasives in companies for years. With the pyramid-shaped structure and the three-dimensional abrasive layer of Trizact™, these abrasive belts can be used to produce an outstandingly fine grinding pattern despite their extreme stock removal rate. The structure of the abrasive guarantees a permanently uniform removal during the entire grinding process. Often several steps can be saved by using grinding belts Trizact™ . Thus, the Trizact™ principle makes a decisive contribution to increasing quality, reducing costs and at the same time shortening delivery times in the companies. The designation of the Trizact™ grain size differs from the grain size according to FEPA. For a better allocation and selection of the correct grit size for the Trizact™ abrasive belts, a grit size comparison is shown in the table below. In order to achieve the full performance of the grinding belts Trizact™, the correct contact wheel must be selected. For grinding and structuring, contact wheels from the FAPI-PA series with or without small grooves with 40 to 65º Shore are to be selected. 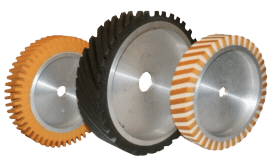 For fine grinding or polishing, choose the FAPI-VU series or ideally a lamella contact wheel from the FAPI-VUS series or the FAPI-BW series. As a general rule, a softer contact wheel achieves a better Ra value.